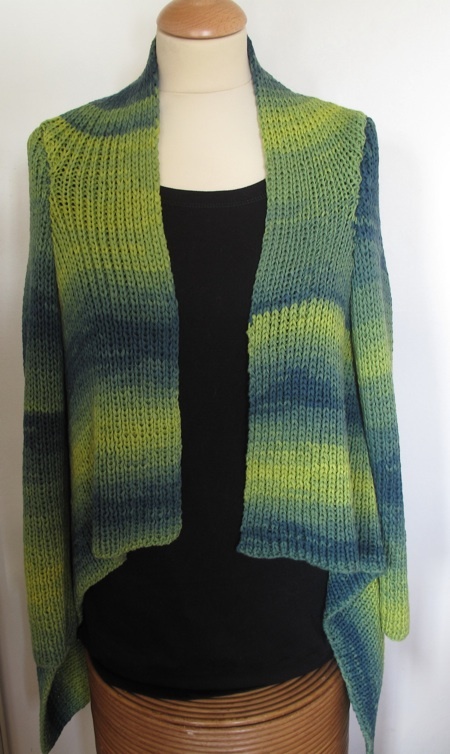 This waterfall cardigan is a great cover in a chill. It is knitted in Lang yarns, Sol Degrade ribbon yarn, which is pure cotton dyed in wonderful undulating shades. The pattern has been written in sizes:small, medium and large and requires quantities as follows: 600g, 800g and 900g respectively.